Providing you the best range of shock less electrodes and flock printing machine with effective & timely delivery. 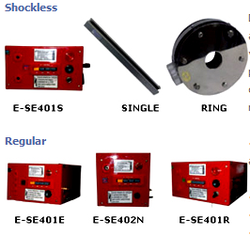 We are a prominent manufacturer and supplier of an exclusive range of Shock Less Electrodes. The offered product is manufactured using high quality of material & modern techniques in fulfillment with the standards of market. This product is highly acknowledged among the customers for its easy installation & superior performance. 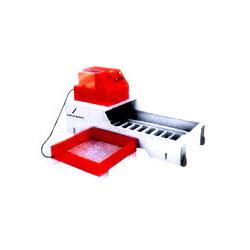 We provide this product on numerous specifications as per the needs of customers. We are instrumental in providing our clients a comprehensive range of Flock Printing Machine. Our printing machine is featured with the strong electro static field gives uniform velvety touch to the products. The offered printing machine is mostly used in textile industries for their varied features like low power consumption & optimum performance. Customers can avail this printing machine at industry leading rates in a confine time.